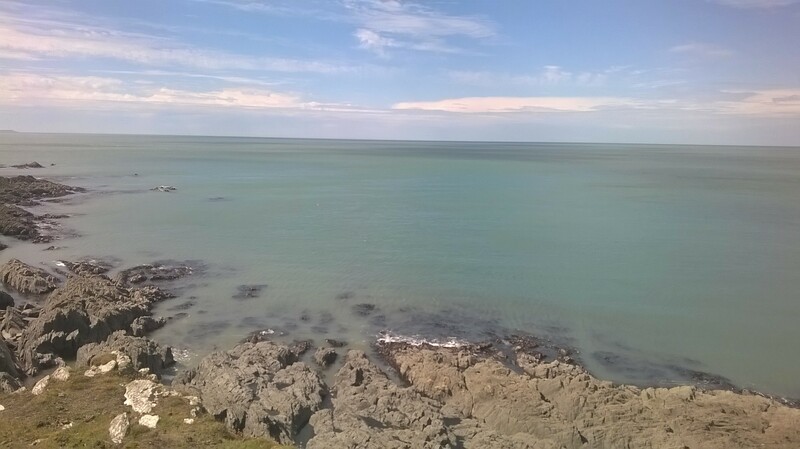 The beautiful Morte Point has been one of my favourite places to go for years now, and this weekend when I was feeling a little fragile, I knew that a trip there was a surefire way of lifting my spirits. 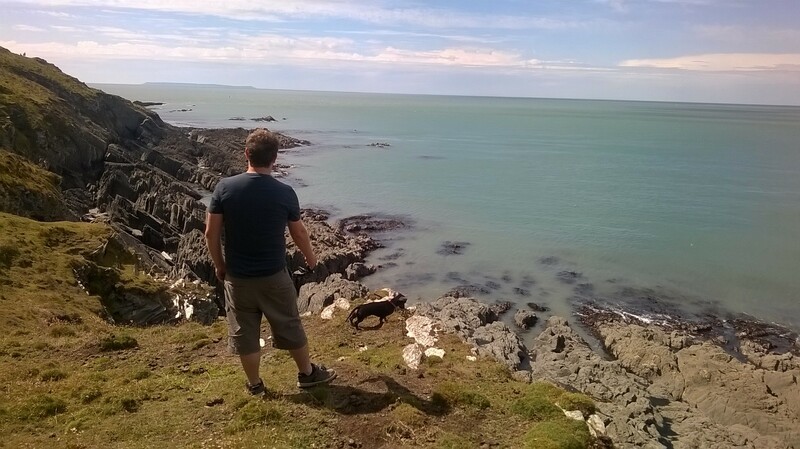 Morte Hoe is a tiny village nestled on a cliff just along from the popular Woolacombe beach. There are a couple of pubs and fish and chip shops, a post office and shop and a church, and it’s all very quaint. Then, you walk up a little lane between the church and a pub, edged with gorse and hedgerow, and reach the cemetery, whose crosses and angels and weathered headstones look out towards the sea. 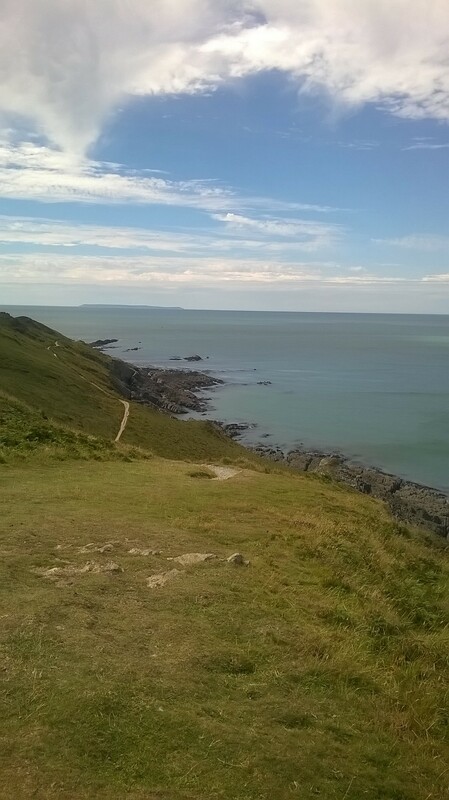 After that, the lane turns to a path and you reach the gate into the National Trust protected coastline area. 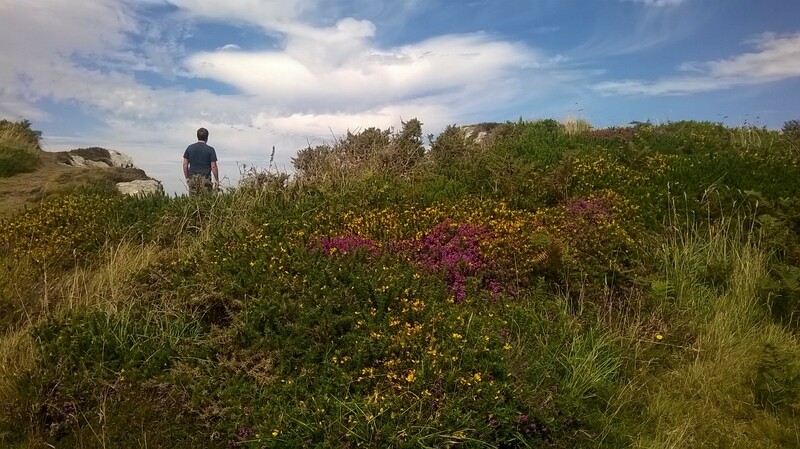 Rough grass and heather are kept down by a herd of weather-beaten sheep, and the path takes you down to the cliff edge. 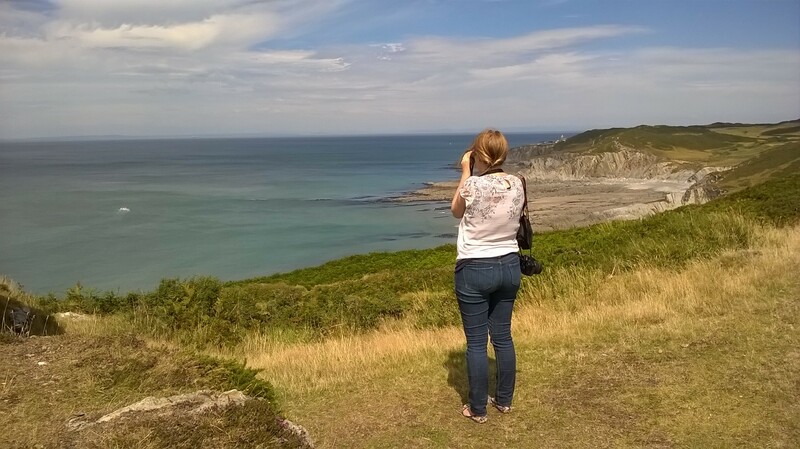 The views are stunning, the breeze is bracing and there is really nothing better than stomping along with your face to the sea air and the anticipation of the next view as you wind your way along the cliff path. You’ve a good chance of seeing seals there – we saw several yesterday, sunbathing on the rocks and bobbing in the water. You may well be able to see them with the naked eye, but if you have binoculars your view will be all the more rewarding. After your walk, treat yourself to fish and chips, an ice cream or a cold glass of cider back in the village. P.S. My camera was out of battery on this trip, so I had to make do with phone snaps – and they do not do the place justice!